For a truly exciting and unforgettable event, booking a nationally recognized act can seriously enhance your brand by associating you with a fun experience. It can also strengthen the bond between your audience and your brand and lead to lasting brand loyalty that can be difficult to cultivate. But do you have the connections, expertise, and knowledge needed to book a headlining act that will truly make your brand event stand out from the crowd? If not, the experts at TalkingTree Creative are exactly the partner you need. At TalkingTree Creative, our staff has decades of experience with pulling off large-scale events that include live national acts. 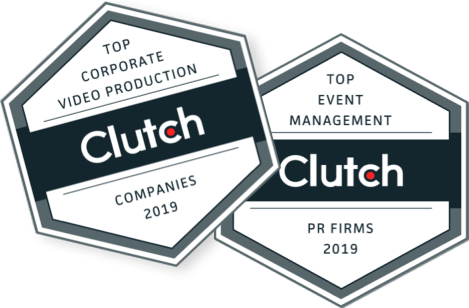 We work with corporate clients throughout the Baltimore-Washington corridor, Mid-Atlantic region and nationwide to help you pull off an event that creates a real buzz around your brand. Our custom video production company is the partner you need to pull off booking a national act and hosting an event that your guests will never forget. If you have ever tried to book a national act, you understand how complicated the process can be. From drawing up contracts to coordinating lighting and sound equipment to planning accommodations and transportation and managing staging…The list goes on and on. The process is not for the faint of heart and certainly not for the inexperienced. Managing logistical details like dress rehearsals and soundchecks would be enough to make the average Joe tear his hair out. You need the help of professionals to manage the logistics so that you don’t have to. At TalkingTree Creative, we have contacts with the national booking and management agencies for top-name acts, which means we have the right connections to find the perfect act for your event. Whether you’re looking for country music, classic rock, or comedians, we can help you find the right celebrity for your event. Even better, we can help save you money by applying our expertise in supporting these acts. Let us handle all of the logistical details so that you can rest easy knowing the entertainment is in good hands. We will take care of all planning and management related to your national live event so that all you have to do is sit back and enjoy the show!